Helen Trompeteler is a curator and writer based in London. She is co-curator of forthcoming exhibition Audrey Hepburn: Portraits of an Icon (July 2015) and was previously Assistant Curator of touring exhibition Man Ray Portraits (2013). Helen writes regularly on photography for a variety of print and online publications. We spoke to her about her projects and interests and her role as Curator at the National Portrait Gallery. Francesca Marcaccio: Could you tell us a little about your background and your work prior to your role at the National Portrait Gallery? Helen Trompeteler: I grew up surrounded by photography as my father was a photographer and lecturer, and I learnt a lot from him. On graduating I worked for picture agency Retna, researching photographs for commercial clients and managing relationships with photographers, including commissioning new work. I joined the National Portrait Gallery in 2002 as Picture Librarian. After working in image licensing and picture research for seven years, I wanted to move into a more creative and research-based role in photography. I studied for an MA in Museum Studies and volunteered on exhibitions before I was appointed to my current role in 2009. F.M: I would like to know more about your methodology. What kind of strategies do you put in place in order to translate your research visually and negotiate the gap between practice and research? H.T: Research is incredibly important to me, but the joy of research is being able to share my discoveries and new knowledge with the Gallery’s many audiences. How best to translate this visually through exhibition layout and design, and forms of interpretation comes with experience, both of what works successfully and learning from mistakes. Exploring and challenging methods of visitor engagement has been central to my curatorial practice since undertaking my MA thesis, which explored audience experience of contemporary art. I also work very collaboratively with colleagues in Design, Learning and Publications to consider how best to communicate new research and the narratives of an exhibition as a whole across the Gallery’s programmes of activity, i.e. not just through the production of a final exhibition in a physical gallery space. 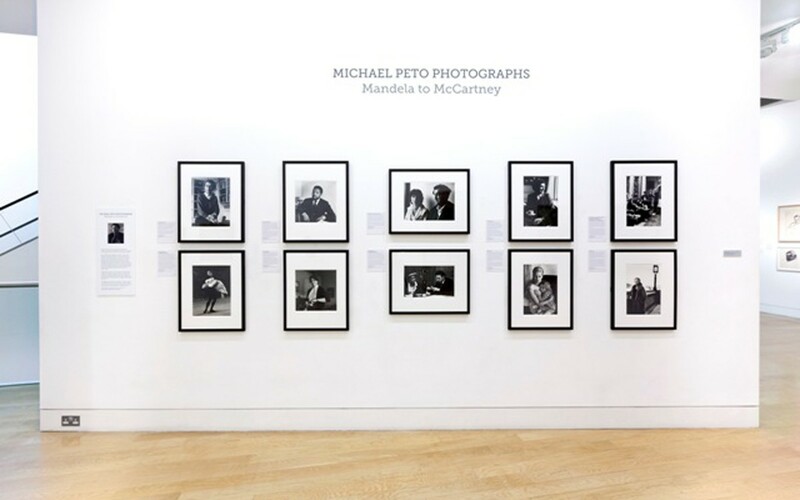 F.M: As Associate Curator of Photographs at the National Portrait Gallery you have the chance to deal with photography collections. It seems to me that photography in museums is increasing in popularity. What do you think that accounts for that? I think that photography’s popularity in museums is due to the fact that unlike some other art forms, photography is ubiquitous and touches upon every aspect of our lives. For a younger generation, the act of taking photographs is second nature and an instinctive part of their visual language. It is photography’s unprecedented democracy as a medium that allows it to have such a rich potential for engagement within a museum context. However alongside this popular interest, there are also many further complex considerations of course. In a climate of continued budget cuts there is an ongoing pressure to produce exhibitions that will generate income, and attract visitor numbers, in addition to being critically engaging. I think curators working today have to learn to balance ongoing research against this difficult backdrop more carefully than ever before. F.M: How does the National Portrait Gallery acquire new photography for the collection? What’s your role in this process? H.T: The National Portrait Gallery acquires photography according to its remit, which is to collect portraits which represent men and women who have made, or are making, a substantial contribution to British history or culture. This informs all of our collecting, alongside a secondary objective to build collections which enable research into, and an appreciation of, the history of portraiture. Most museums publish their collecting remits online, and I would advise any artist offering new work to a museum to check such documents before making their approach, in order to fully understand the priorities of an institution. All offers for the Collection are discussed at fortnightly curatorial meetings by a panel of curators. With colleagues, my role in this process is to research new offers under consideration, contribute to review discussions, and continue to build long-term working relationships with contemporary photographers and collectors. I also play an active role in the wider photography community including at graduate and postgraduate level, which enables me to discover new work that is relevant to our objectives as an institution. F.M: What trends do you find interesting at present? H.T: Photography is obviously a very specific medium with its own history, and I do believe museums still need medium-specific departments and specialists. However I’m currently enjoying engaging with artists and projects that have a much more cross disciplinary approach. Museums are increasingly exploring the crossover between different mediums and histories in their displays and exhibitions, and I find the multi-layered narratives that emerge from such an approach fascinating. I think museums are also beginning to move beyond only an object based view of photography. However challenges with how to display, store, conserve and exhibit time-based or networked media is still an area for developing expertise. I’m currently enjoying projects which cleverly use found and vernacular photography, such as Regine Peterson’s recent exhibition and book Find A Fallen Star for example. I’m also excited to see David Campany’s forthcoming book A Handful of Dust, which takes inspiration from Man Ray’s 1920 photograph of dust upon Duchamp’s glass sculpture ‘The Bride Stripped Bare by Her Bachelors’. Photocaptionist is also producing fascinating work at the moment which examines the interaction between photography, fiction, images and words. I often discover new work by following small independent publishers, and self-publishing too has revolutionised the reach of photography projects, far beyond the traditional contexts of the museum or commercial art gallery. The mass proliferation of digital images online has also seen a new renaissance in the use of historical techniques, which I find very interesting. I regularly enjoy the work of contemporary photographers who use traditional methods such as tintypes or the collodion process; Rob Ball’s Dreamland is one such recent project, as well as Melanie King’s work with the London Alternative Photography Collective. 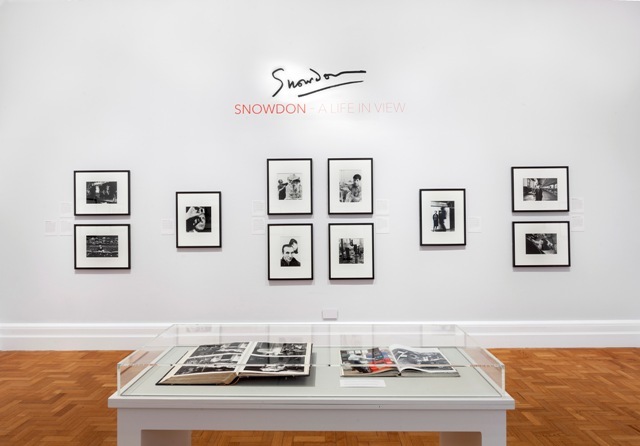 F.M: Currently on show at the National Portrait Gallery Snowdon: A Life in View exhibition celebrates the life and work of Lord Snowdon. Could you tell us a little bit more about this project? H.T: The National Portrait Gallery has enjoyed a very long association with Lord Snowdon, and staged a major retrospective of his work in 2000. In 2013, the Gallery began conversations with the photographer’s daughter Frances von Hofmannsthal about acquiring a new selection of work by Snowdon for the Collection. This display is a culmination of that collaborative process, and celebrates a major gift of 130 prints from the photographer to the Gallery, greatly enhancing our holdings of his work. Often remembered by the wider public as a royal photographer following his marriage to Princess Margaret in 1960, in curating Snowdon: A Life In View I greatly wanted to convey the diversity of Snowdon’s work. Carefully considered groupings of photographs reflect upon different aspects of his career, from theatre, fashion, and literary portraits for example, to a special part of the display which presents new selections from Private View, Snowdon’s landmark examination of the British art world, published in 1965 with John Russell and Bryan Robertson. I hope this small exhibition successfully conveyed how Snowdon enlivened and influenced so many genres of photography from the 1950s onwards, as well as showcasing his superb ability to reveal much of the true character of many of his subjects. Thinking more generally, in so much of my work there is a drive to reassess or restore reputations, question and examine a photographer’s ongoing significance and contributions to the history of the photography.